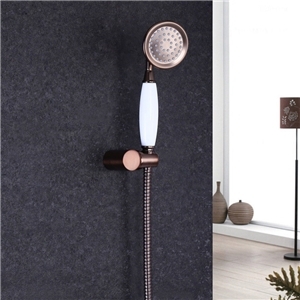 Comes with modern look, special round shower head, rain handheld shower and sleek handle, this contemporary shower faucet has modern design. 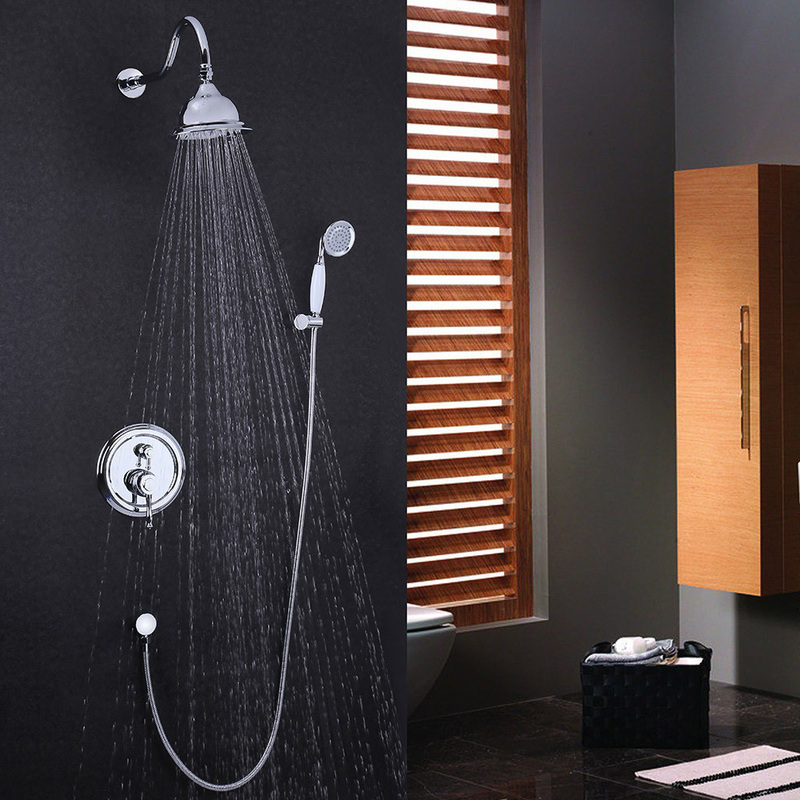 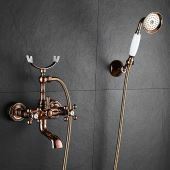 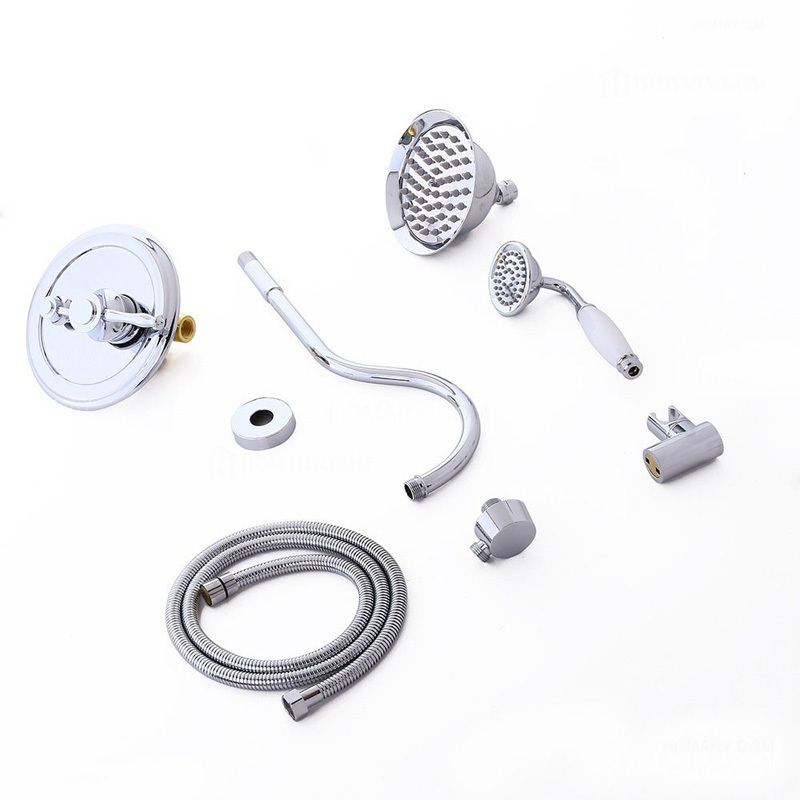 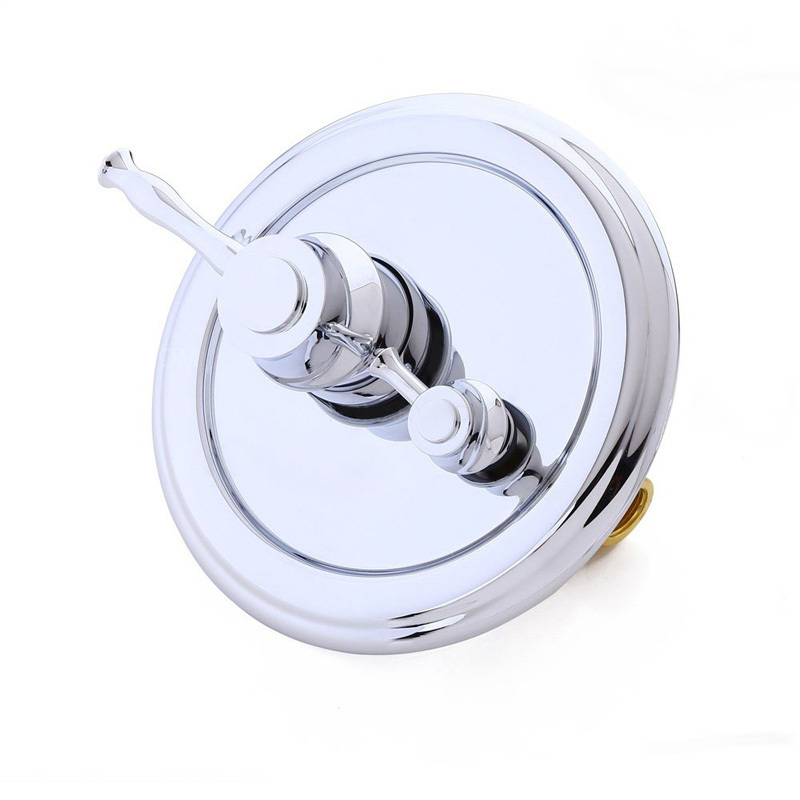 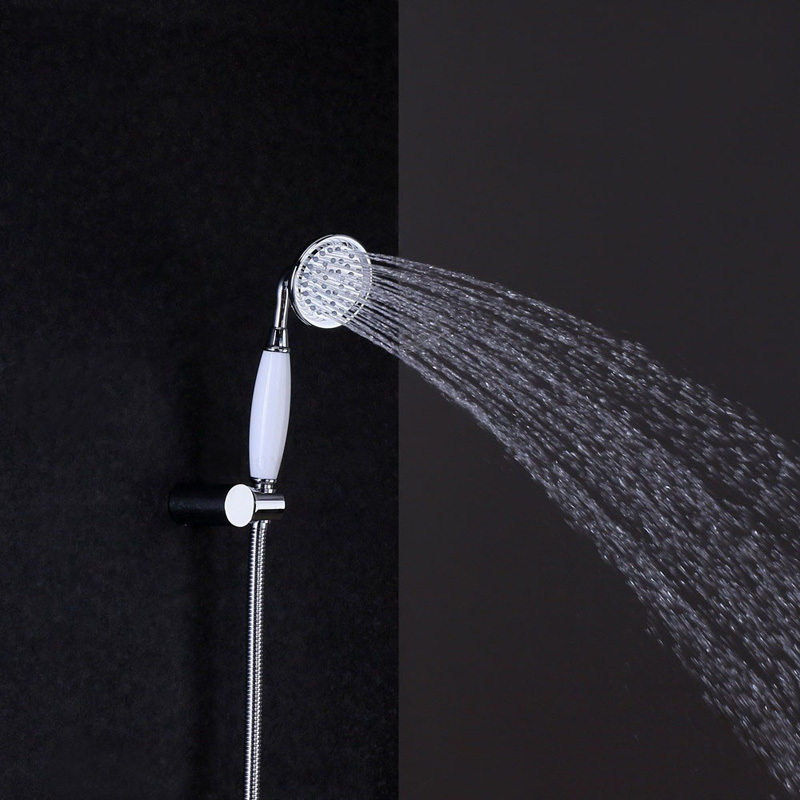 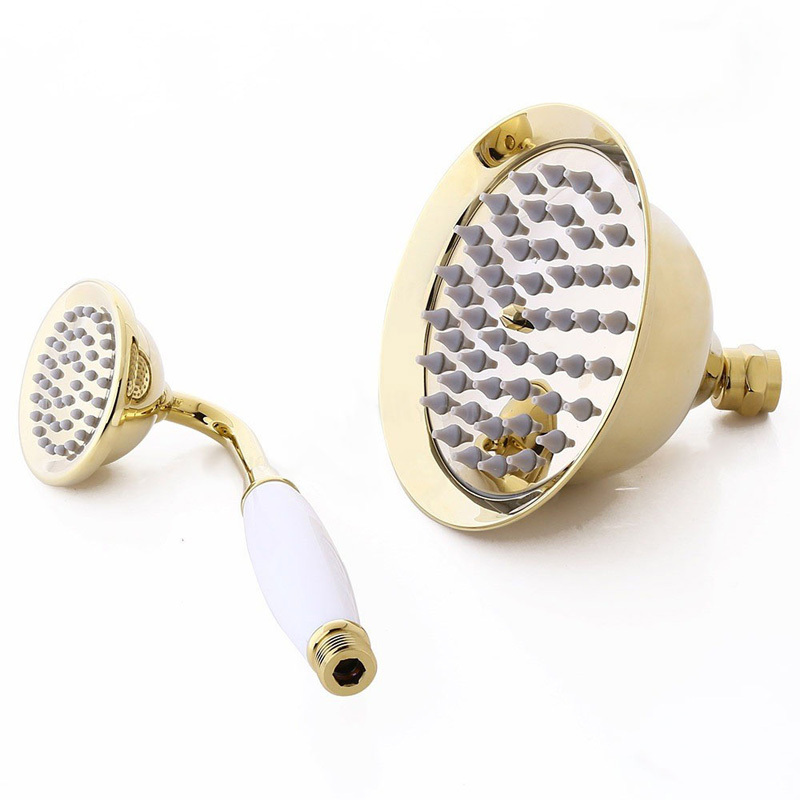 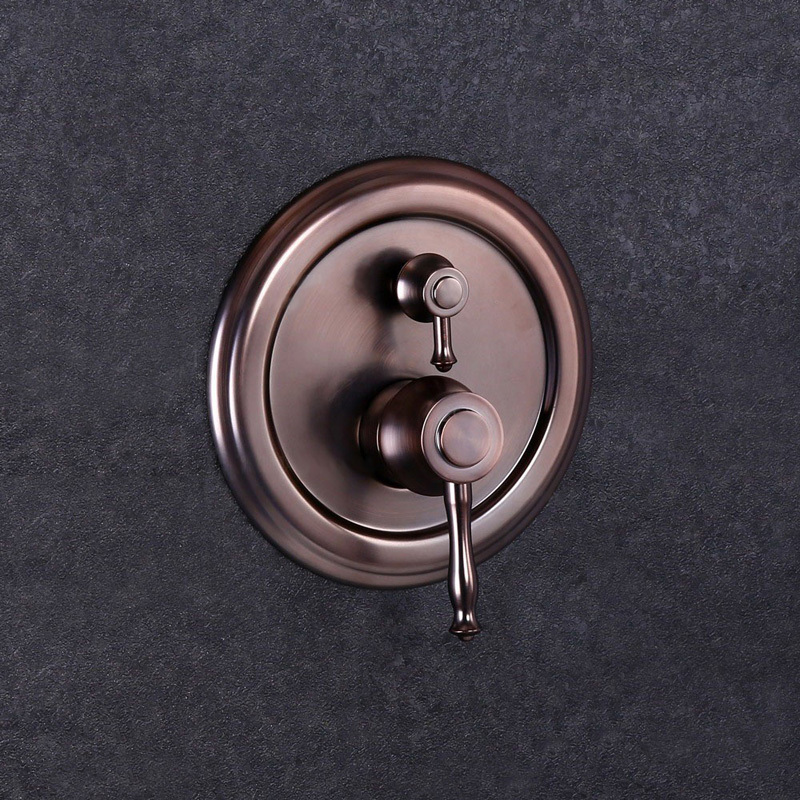 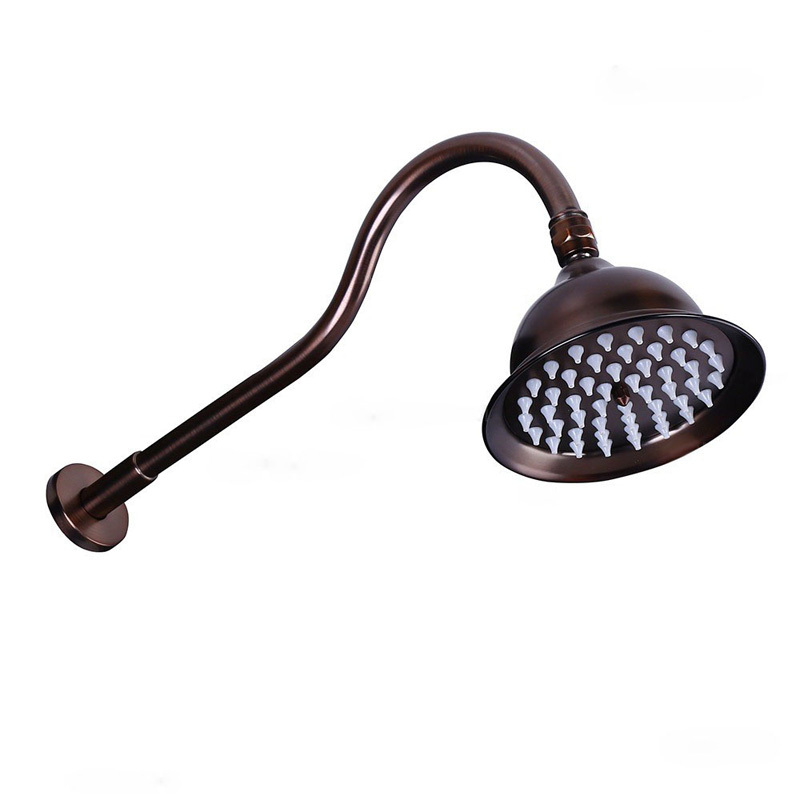 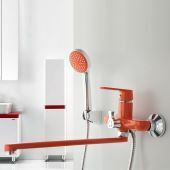 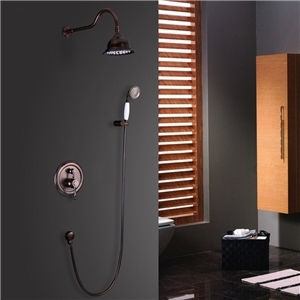 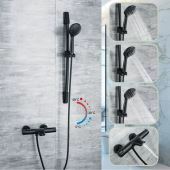 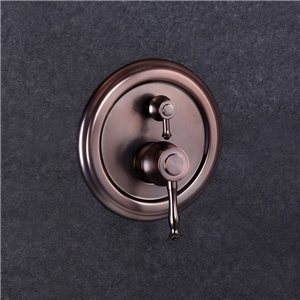 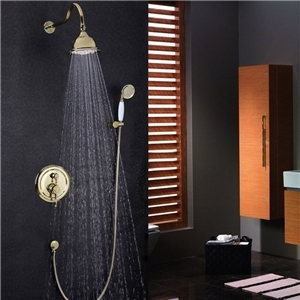 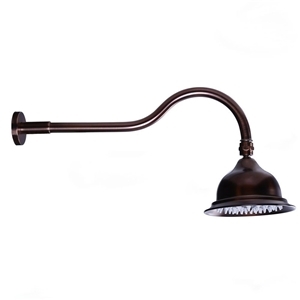 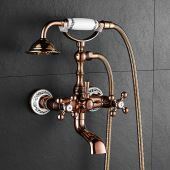 The in-wall installation type is modern, the wall mount shower head and rain handheld shower deliver rainfall, and the handles control the water flow and temperature conveniently. 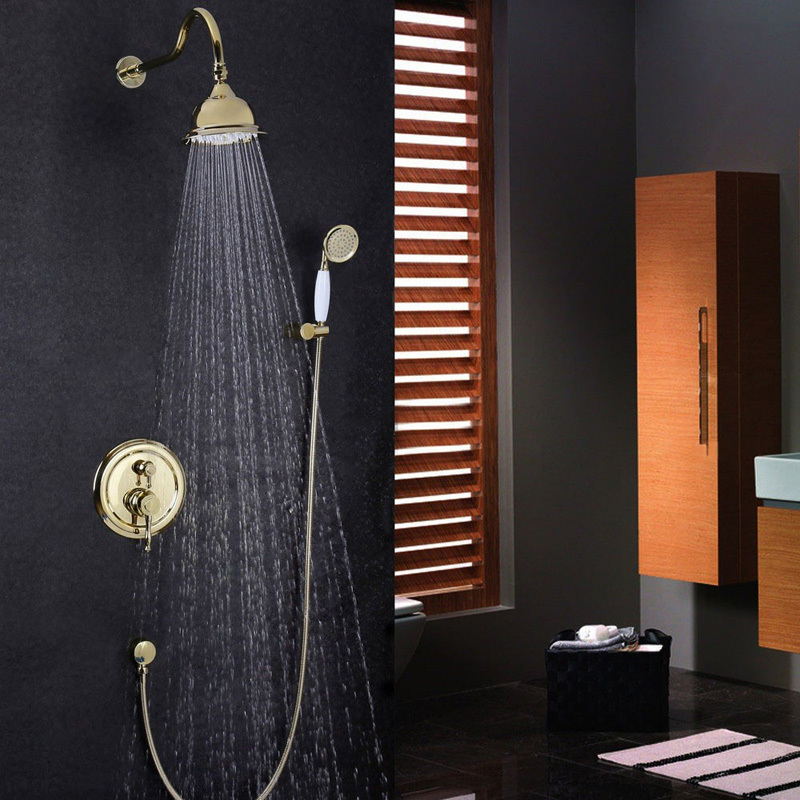 Don't hesitate to take it back home for your elegant bathroom! 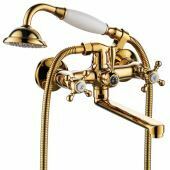 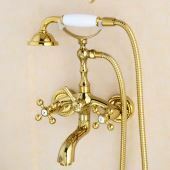 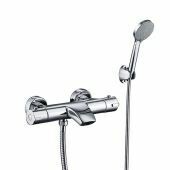 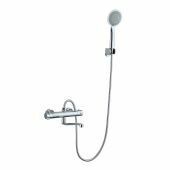 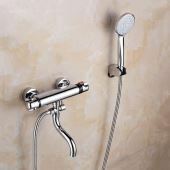 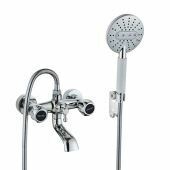 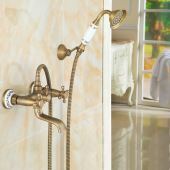 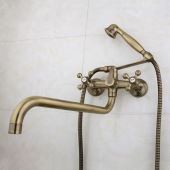 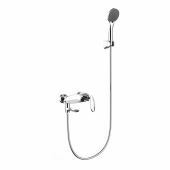 - Please note that this product comes with a standard shower valve without scald prevention feature. 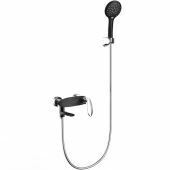 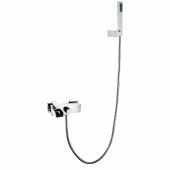 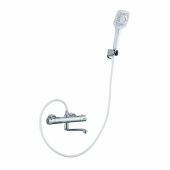 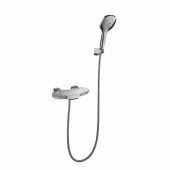 - A rain shower head (6" x 6"/150mm x 150mm) and hand shower can be operated individually or simultaneously with the diverter above the handle. 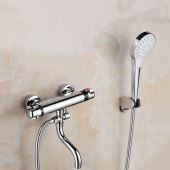 - Hand shower with 60" (1500mm) stainless steel hose included.